Worry less with New GPS Tracker that is small in size but packed with innovation! Meet TrackMe Compact, the small, concealable and handy device that protects your assets and your precious ones. Meet FleetWatch, the ideal vehicle tracker for your fleet of cars, lorries, motor-bikes, etc. We each wear many hats during the day; we do business, concerned about the whereabouts of our assets, our goods transported globally. We are also a common man, worried about our family: an elderly father/mother, our kid or even our pet. The portable tracker, TrackMe Compact, provides you with asset security, whether commercial or private and safeguards your precious ones remotely, while enabling you to carry on with your regular activities without being worried with these concerns any longer. FleetWatch allows you to monitor your drivers and receive daily reports on their fuel usage or location. Manage your workers and protect of your precious ones with marginal intervention. Do you want to be sure that your elderly parent has left for a doctor’s appointment and arrived safely at the hospital? Simply provide them with the TrackMe Compact, used also as an Individual Tracker, and track their location using your smart phone. That way, you are worry free, knowing that the system will notify you in an event of an emergency. The same goes for your workers, kids and pets. Not only are you able to track them but will receive updates in an event a pre-defined emergency situation occurs. The TrackMe Compact unit also functions to track goods from location to location, irrespective of location or transportation means. Being a tiny and portable unit that does not require an external battery source, the TrackMe Compact GPS Tracker can be hidden in any bag, container or box, tracking its location, and well as temperature and light conditions. This aids in saving precious time and money attempting to get back your goods in an event of a theft. For example, medical syringes that deviates from a pre-set temperature condition, will trigger the TrackMe Compact device to send an alert to the relevant control body. 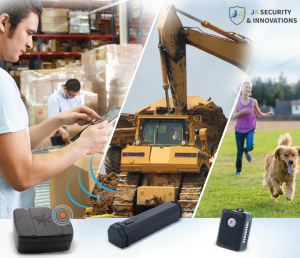 The TrackMe Compact Asset/People Locator is a smart tracker, another innovation from the JA Security line of GPS Tracking Units. The FleetWatch is a world renowned vehicle tracking unit that has been endorsed by Porsche in Germany. 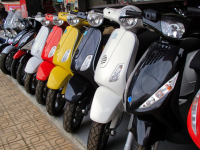 Click Here for GPS Tracking for your vehicles in Singapore. Click Here for personal GPS Trackers in Singapore.